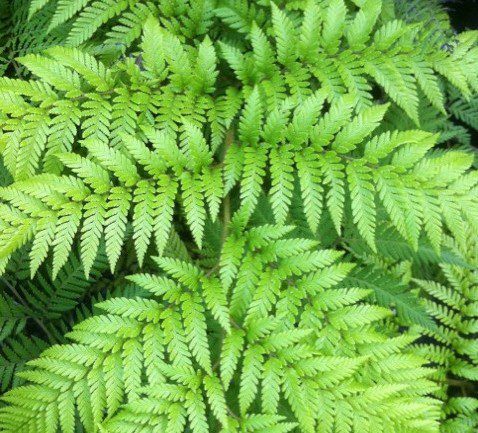 Lophosoria quadripinnata is a very graceful fern with soft foliage. 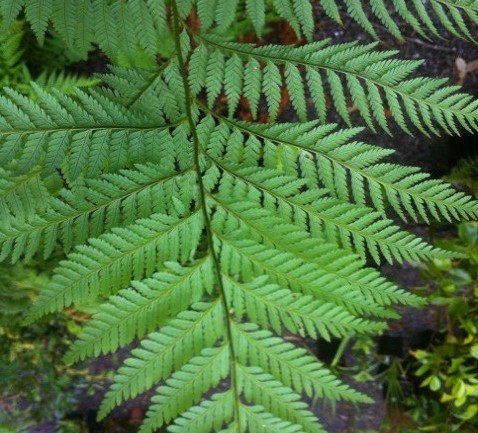 Fronds are triangular, tripinnate-pinnatifid with very leathery stipe. The mature undersides of the lamina are a silvery glaucous blue which is very striking. It would appear to be suitable in my experience to open, windy positions. 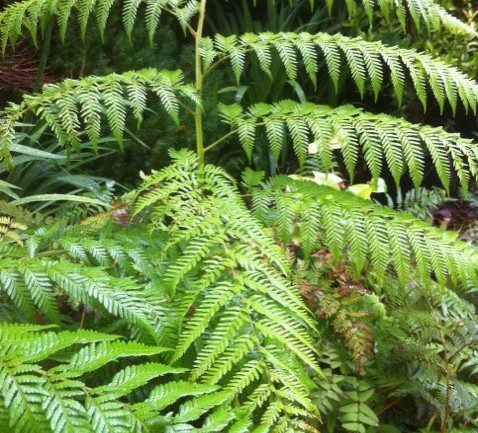 Also it can be used to good effect on banks where the undersides of the fronds will be more visible. 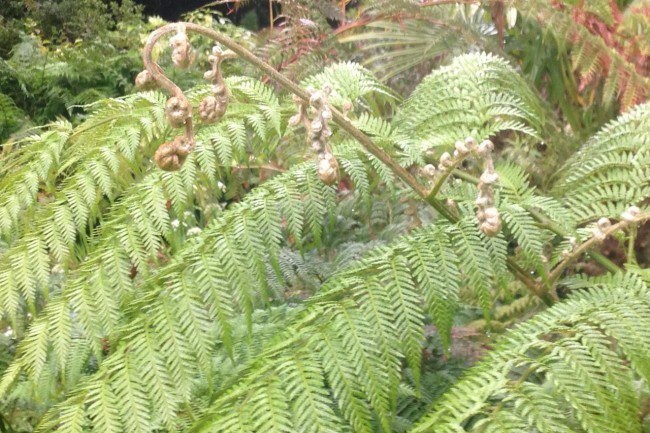 I have had this fern for over 8 years now and never had a problem with it’s hardiness in my garden. Plants for sale have fronds of approximately 60-80cm in length but will grow to much larger plants over a period of years. I saw some massive plants in the Juan Fernandez Islands with huge stipes and also received a small number of large plants this year direct from mainland Chile with fronds around 6 foot /180cm in total height. 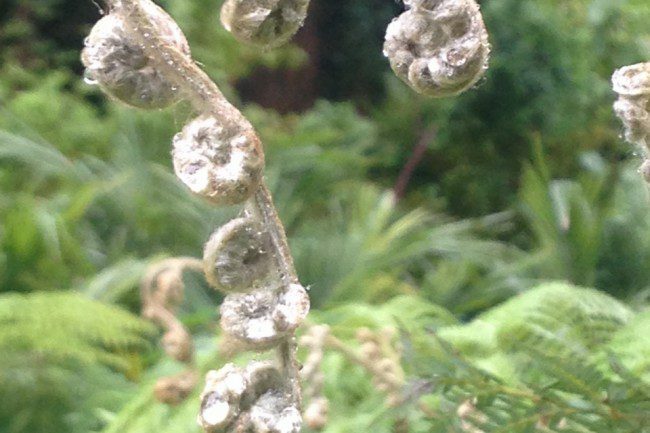 This fern is still very rare in cultivation. 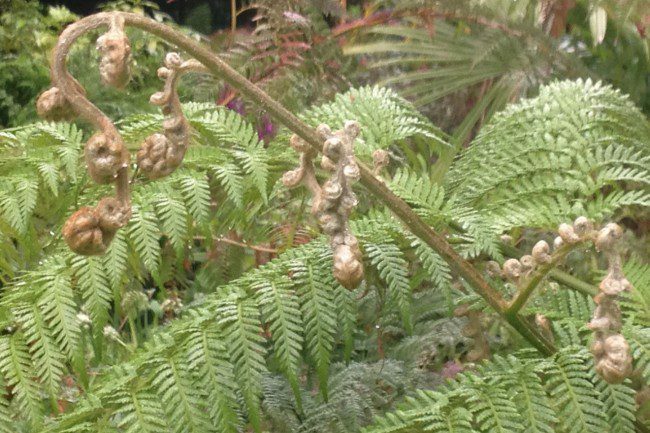 Hardiness: This is an exremely hardy fern. Hardy in my experience to at least -8 Celsius. To ensure survival in the harshest of conditions, heavily compost the rhizomes with organic matter and new croziers will emerge in Spring. Proved itself very hardy in the severe winters of January and December 2010.